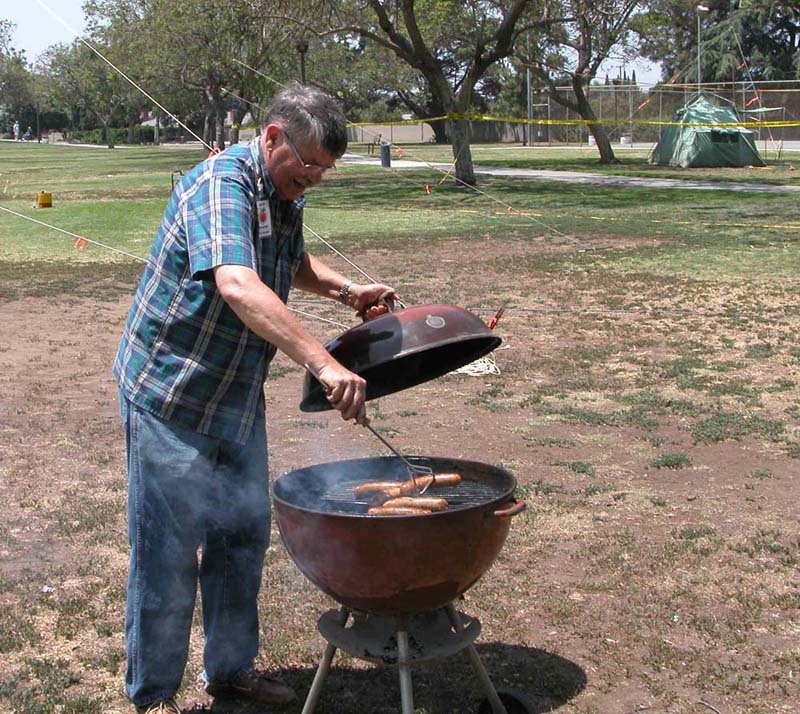 Lunch comes fast for clubs on the West Coast during Field Day. 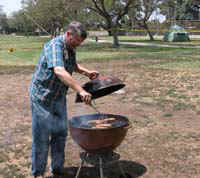 Here Ken-W6HHC prepares some bratwurst sausage for the entire OCARC crew. 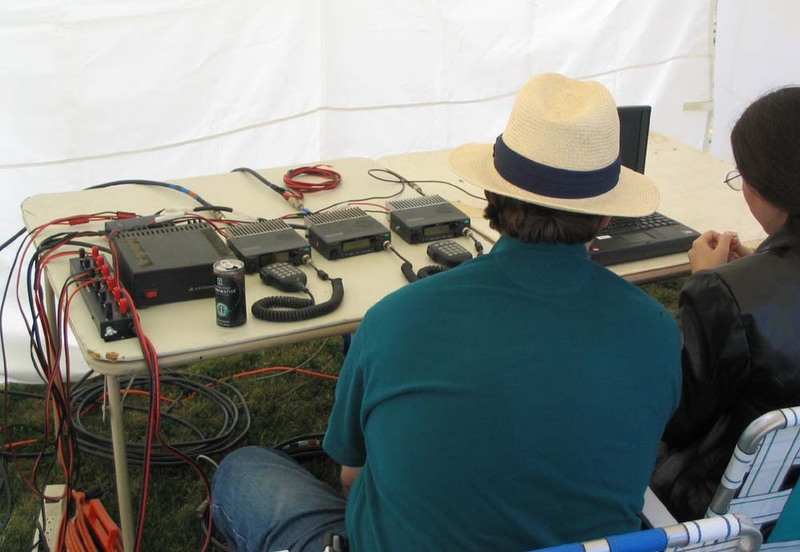 Matt-K6LNX is team captain for VHF/UHF while Robin is logging..
Chris-KJ6ZH drove all the way from the San Francisco area (again this year) to set up a Field Day satellite station. Bob-KD6XO looks over Chris's shoulder. 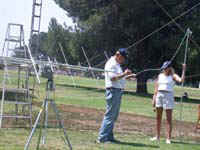 This is the antenna system that was set up for FD satellite communications. 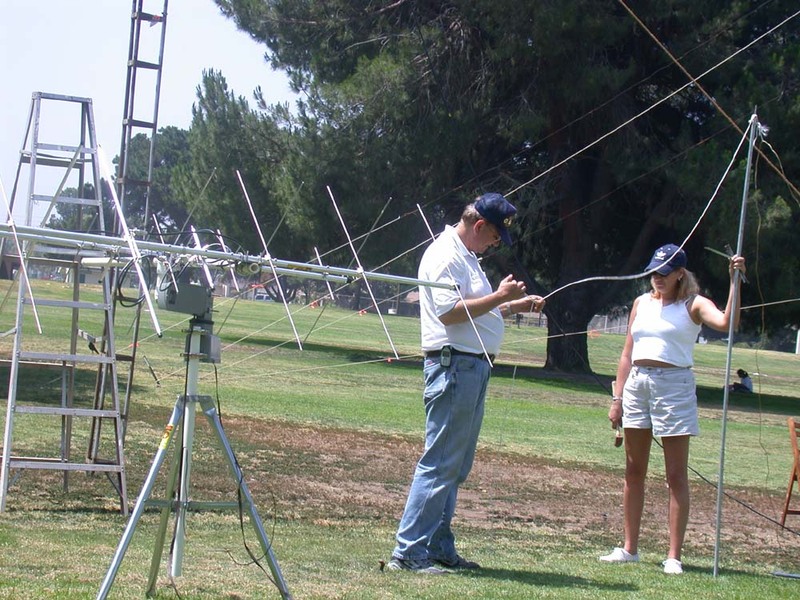 On the left, are the 2M polarized yagis for transmitting the up-link. 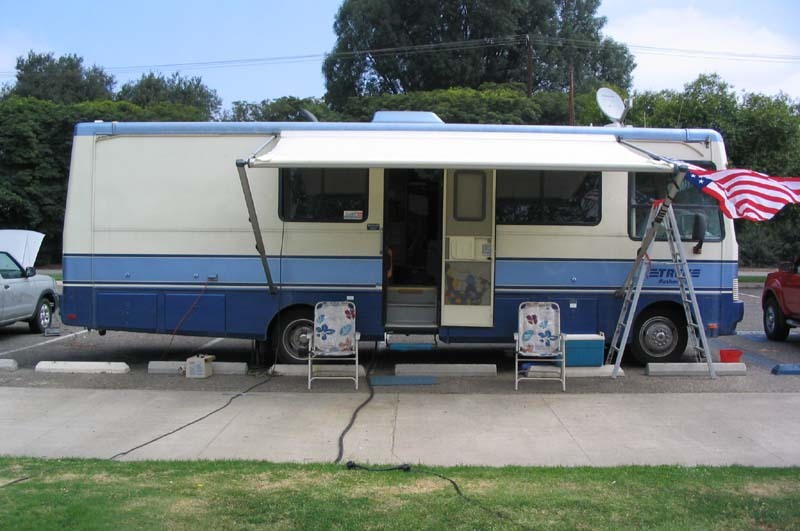 Chris-KJ6ZH and Jami-KG6TLM complete adjustments for a 10M loop antenna was used to receive the down-link signals..
15M used the terrific motorhome of Bruce-KC6DLA for their station.. 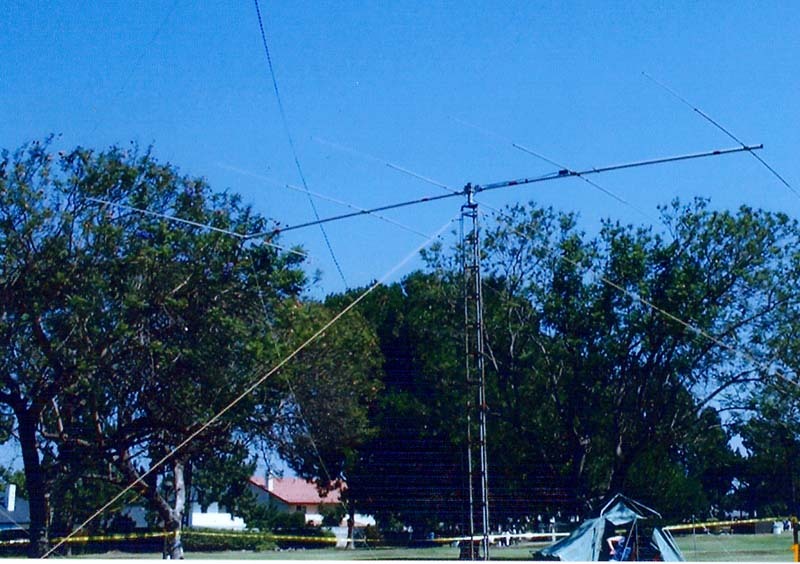 The 15M station used a 5-ele Hygain monobander beam on a 20-ft tower. 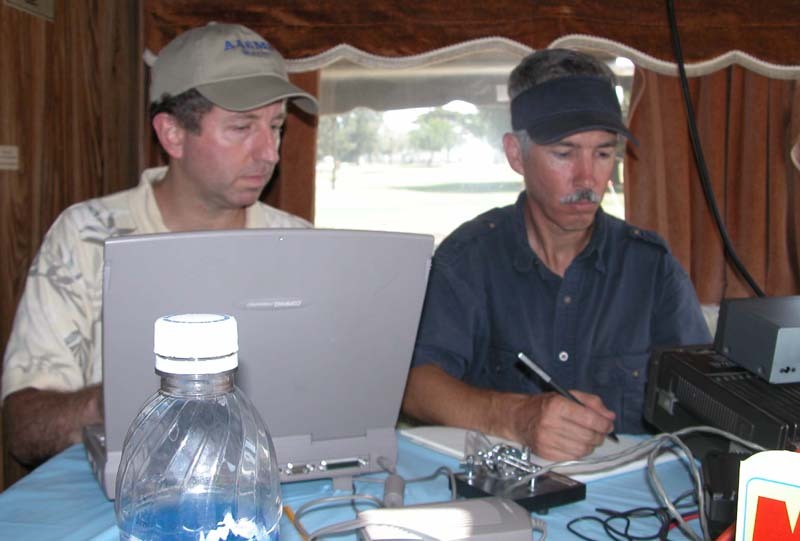 Inside the 15M station (L-R) Tom-WA6PFA works the band while Bruce-KC6DLA does the logging.. 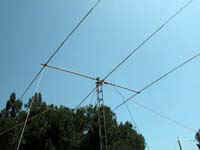 The 20M team used a 3-ele Hygain monobander beam on a 20-ft tower. The white rope on the left is the "rotor". This is the 20M SSB crew operating out of the motorhome of Bob-KD6XO. 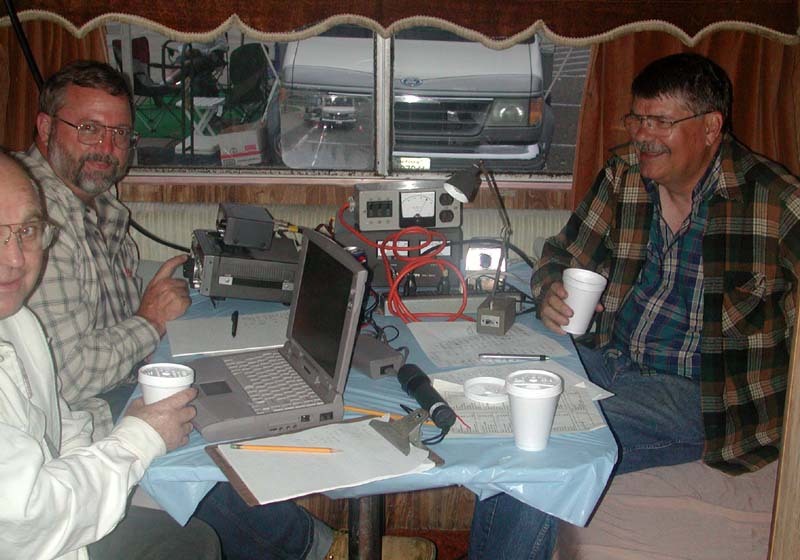 (R-L) As team captain Ken-W6HHC rests, Bob-KD6BWH takes a turn at the mike and Bob-KD6XO logs. Mike-WK6O (R) was the-traveling-CW-man who went from band-to-band to really increased the club points this year. 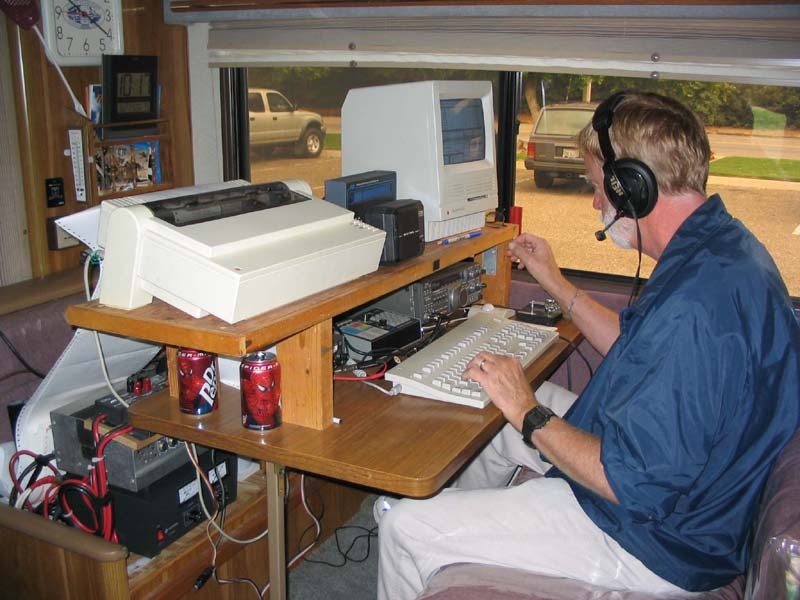 Here he is in the 20M station with Mark-AA6MS logging. 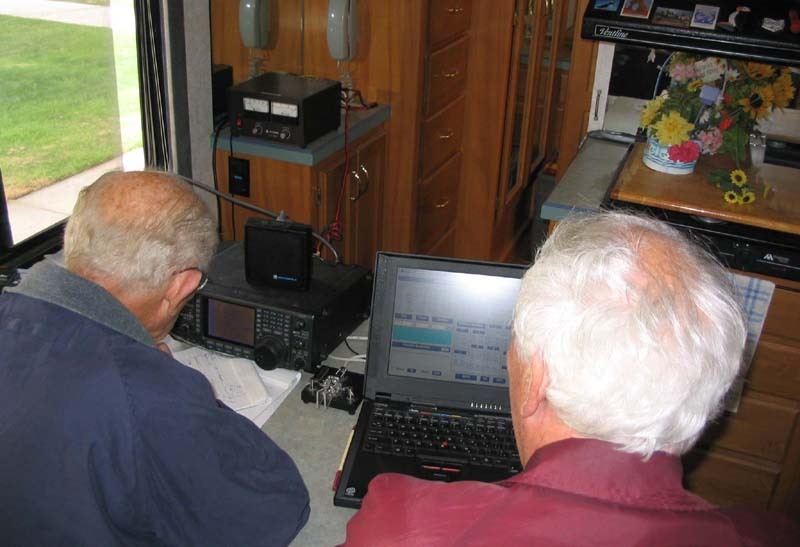 This is the 40M station, operating inside the KE6WWK motorhome. 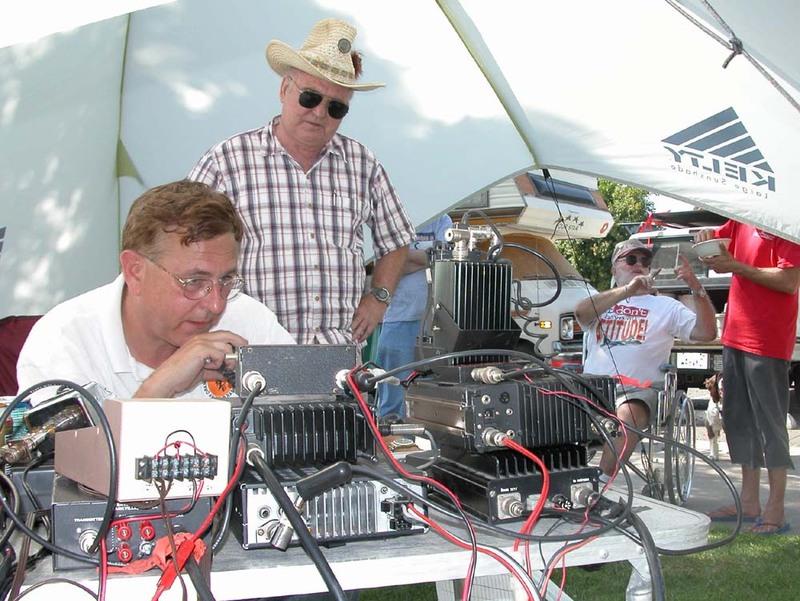 Rich-KE6WWK takes a turn at operating during contest. 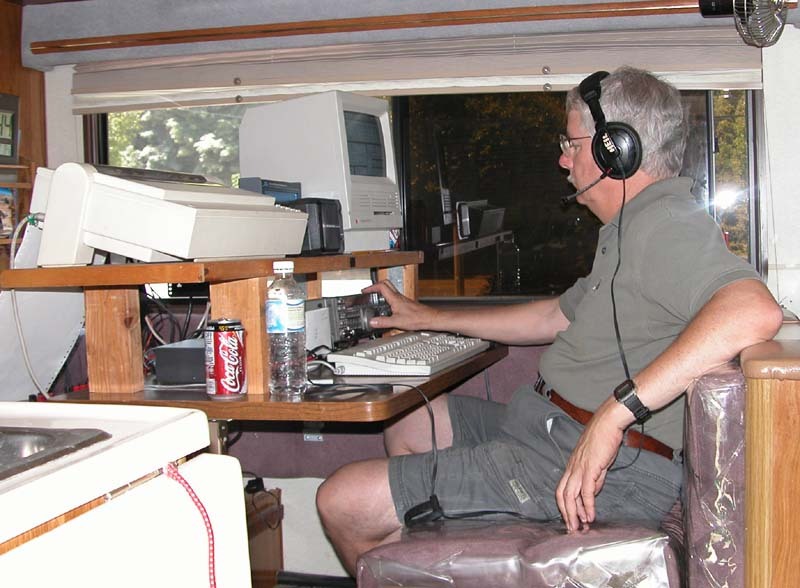 Howard-WB6TIK takes at turn at the mike on the 40M station.